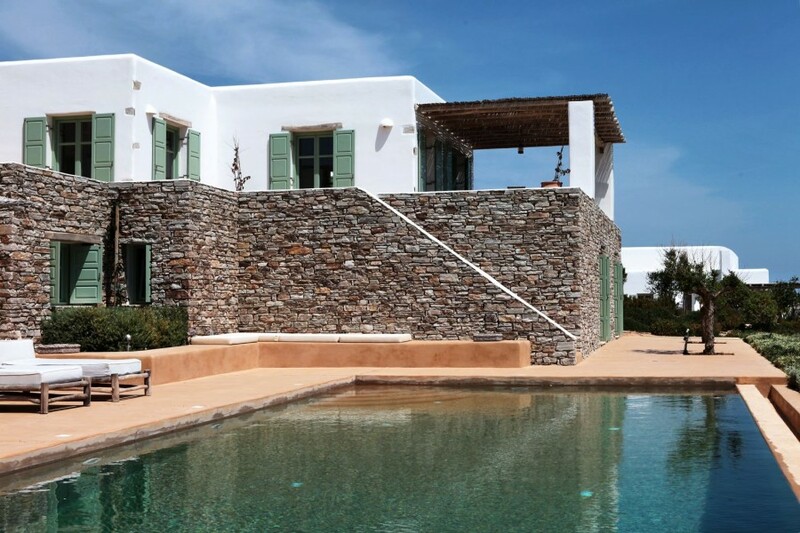 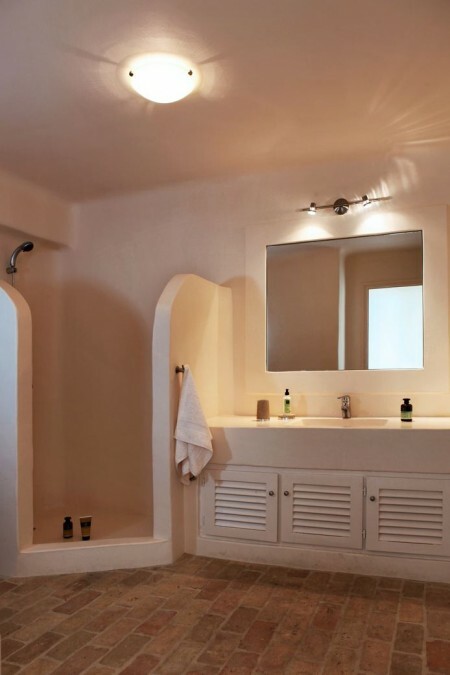 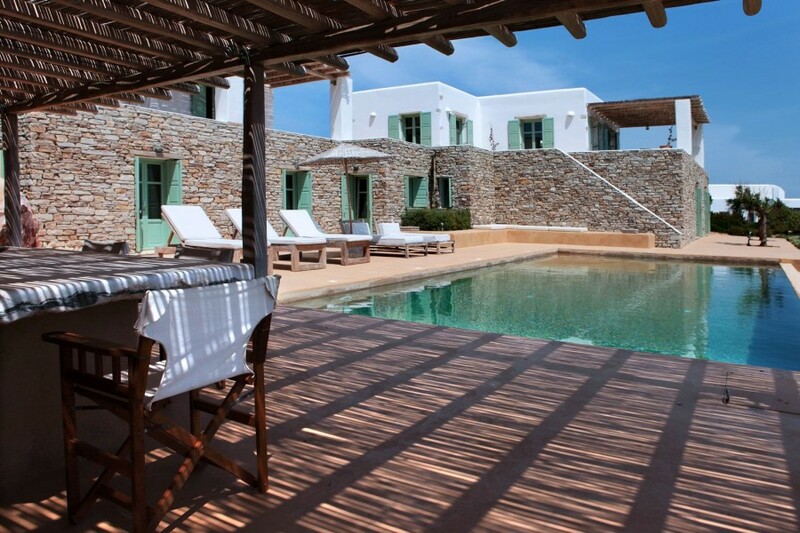 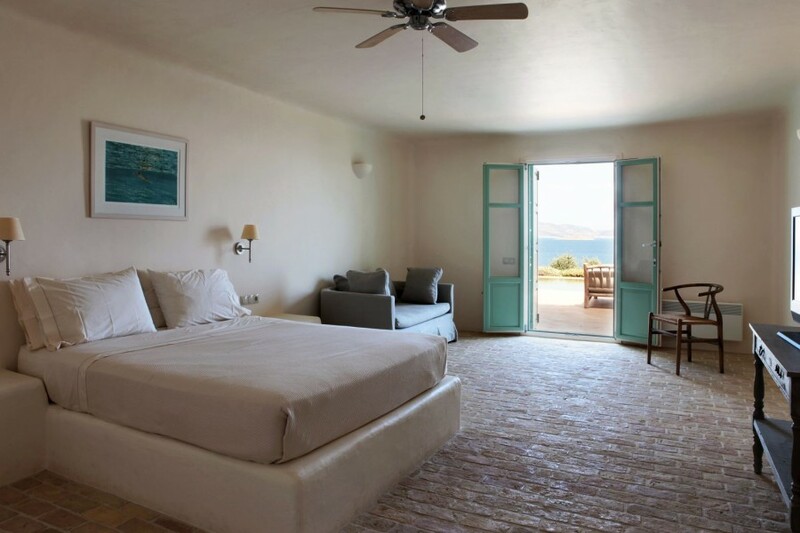 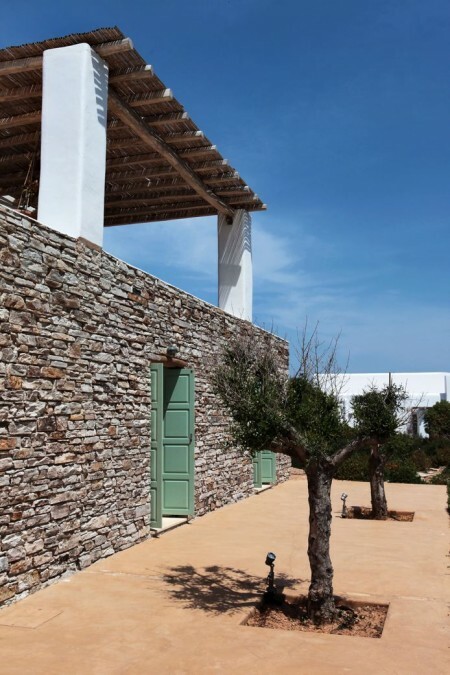 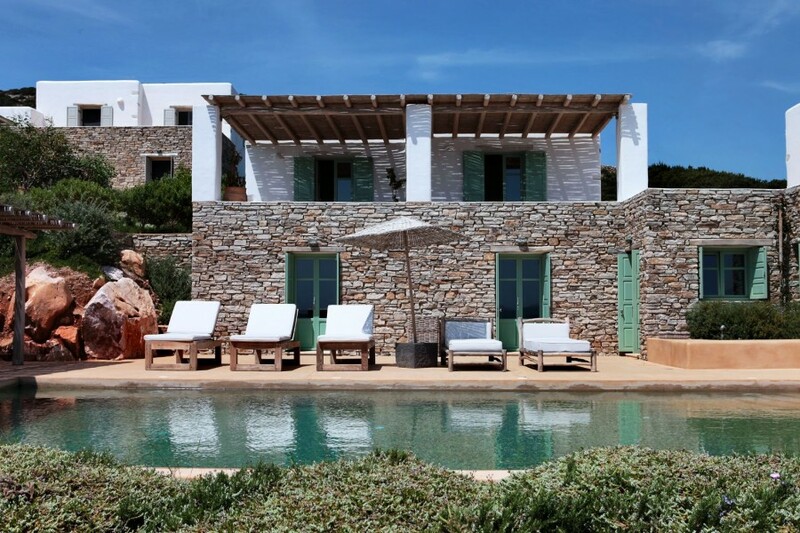 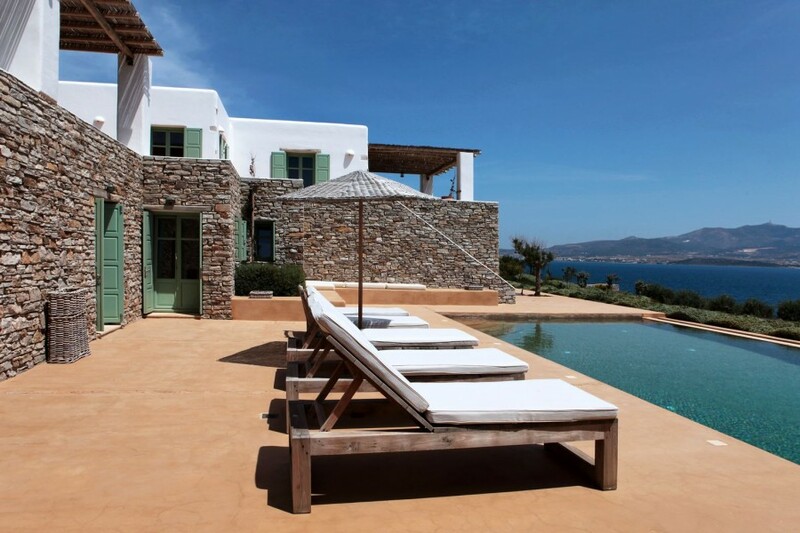 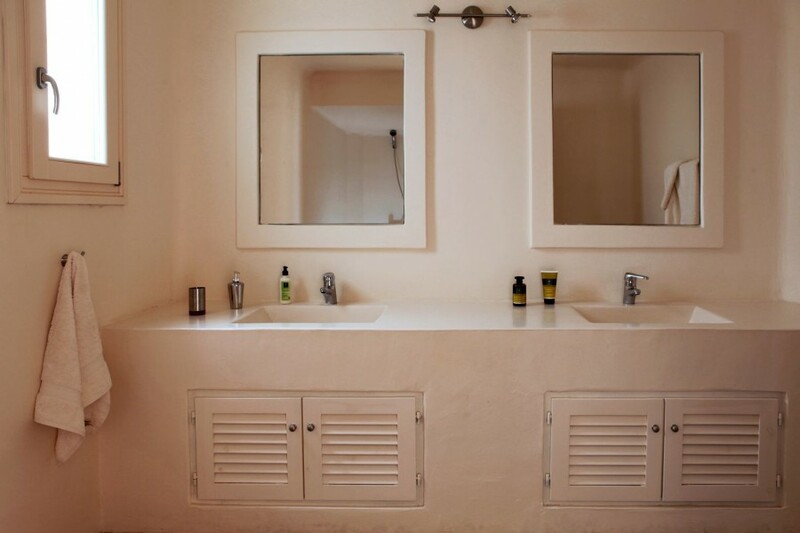 Dandelion is a large villa in the Maganies area, plunged in the typical and fragrant Mediterranean vegetation, characterized by a strong Cycladic charm, made of white walls and square shapes that stand out in a particular way in the surrounding landscape. 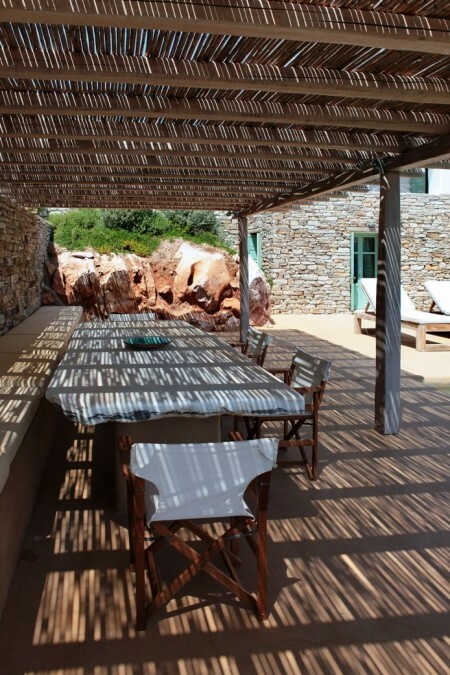 The villa is on the right end of a large property and is divided into two independent units united by a broad terrace, which provides a pleasant shaded area for lunches and dinner in the nature. 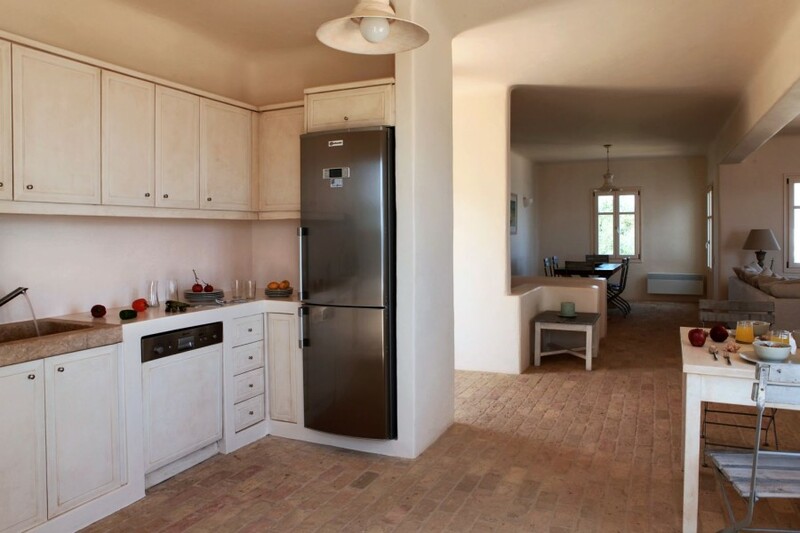 The main entrance leads to an ample space, which includes a large living room, a dining room and a fully equipped kitchen. 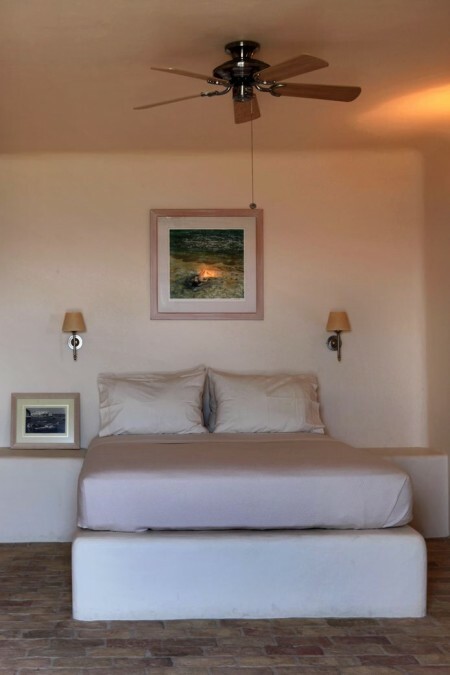 A sophisticated taste shows through the informal atmosphere of the property’s interiors; the furniture vary among warm colors like cream, ochre and beige, from the large sofa cushions to the bedrooms blankets and curtains, creating the feeling of a cozy setting. 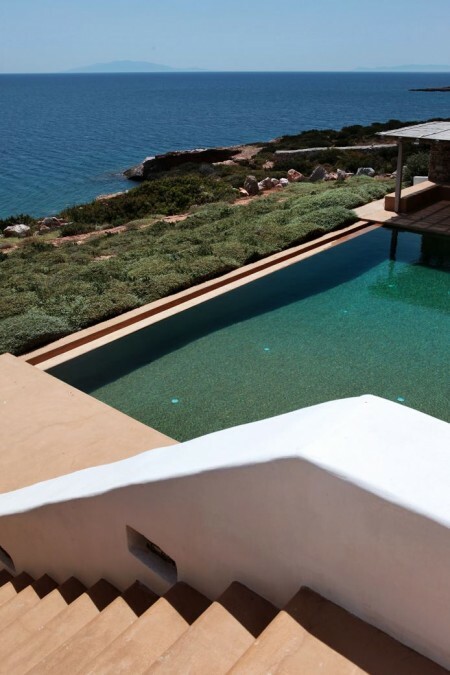 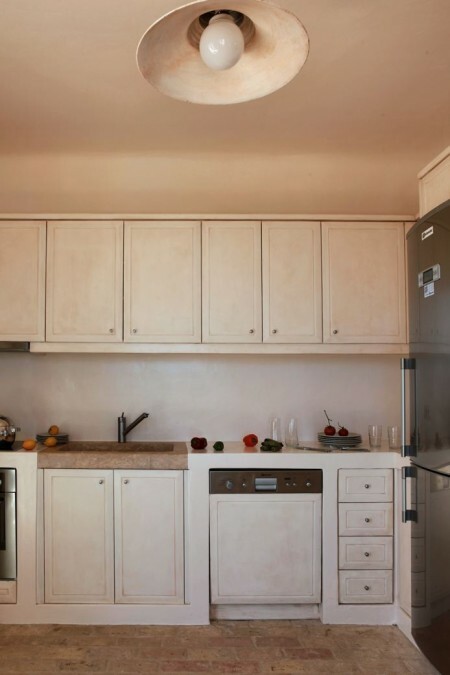 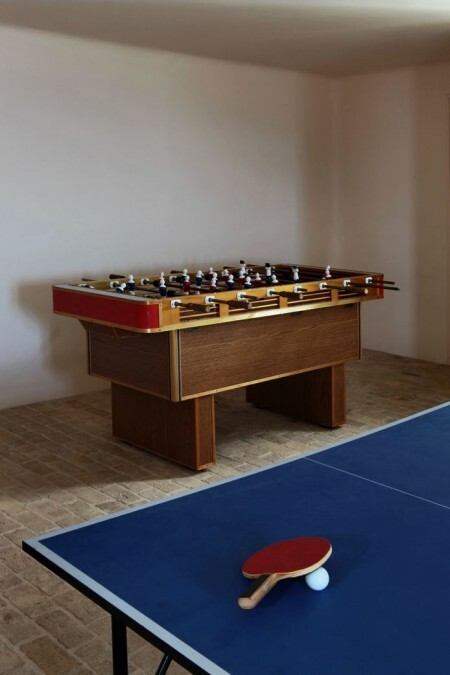 The exterior of the property is particularly enjoyable thanks to the abundance of space, surrounded by a unique space with the constant presence of the sea a few step away. 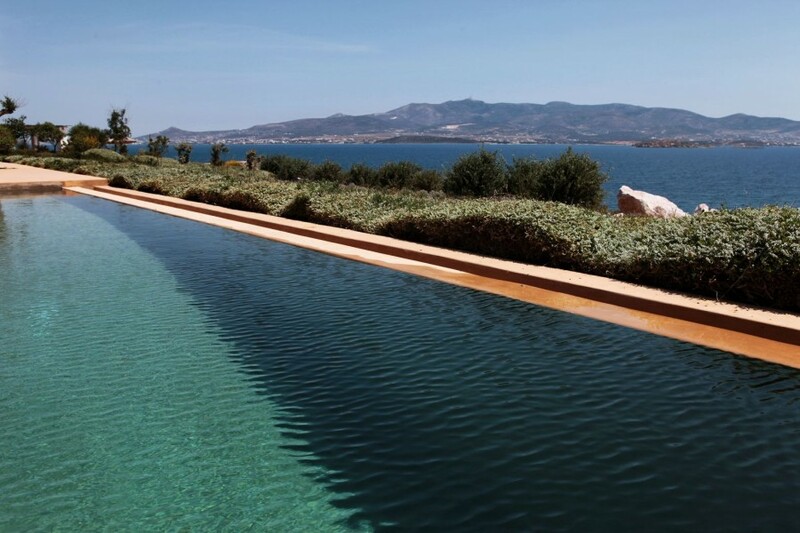 The terrace includes an attractive rectangular-shaped infinity pool with emerald reflections, surrounded by comfortable sun bed, and a covered gazebo provides the perfect setting to enjoy a drink in the shade during the hottest hours of the day. 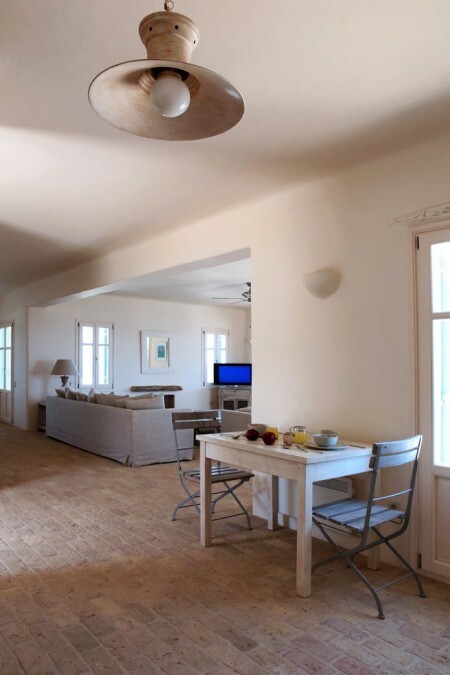 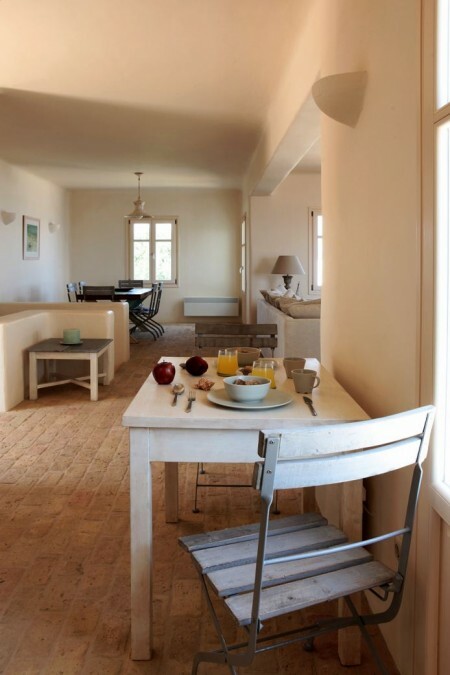 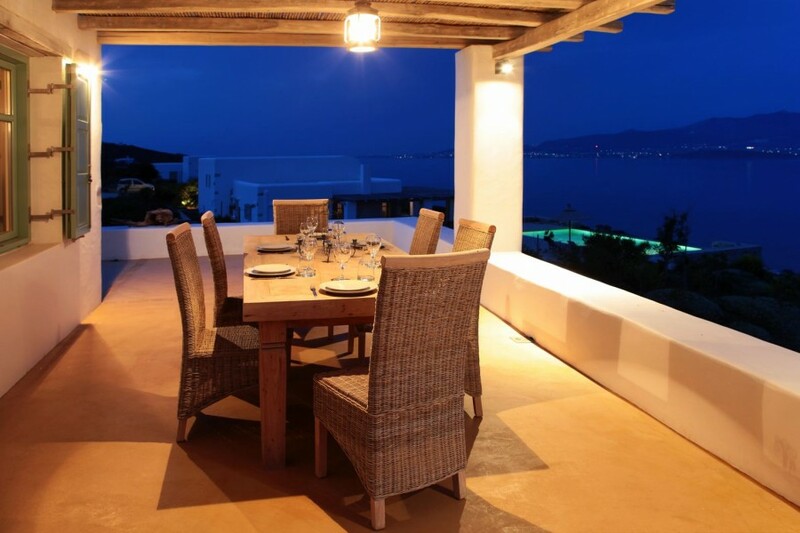 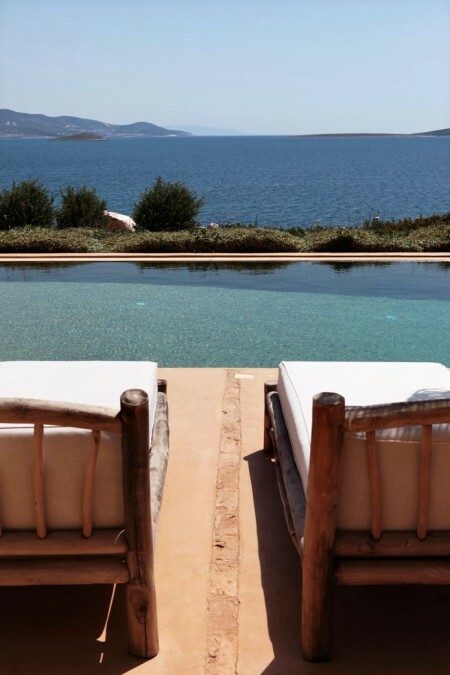 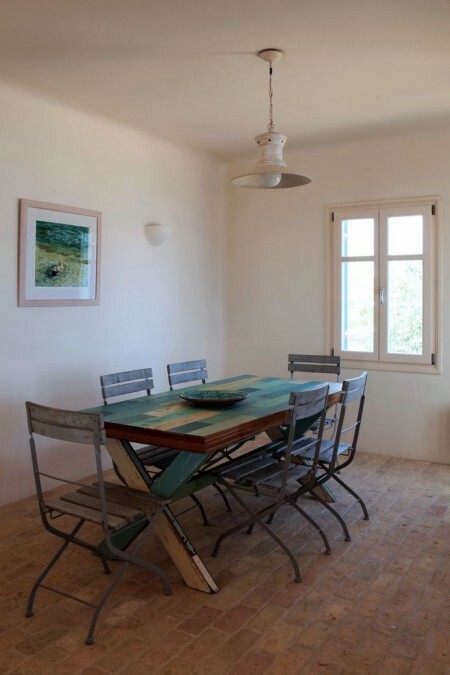 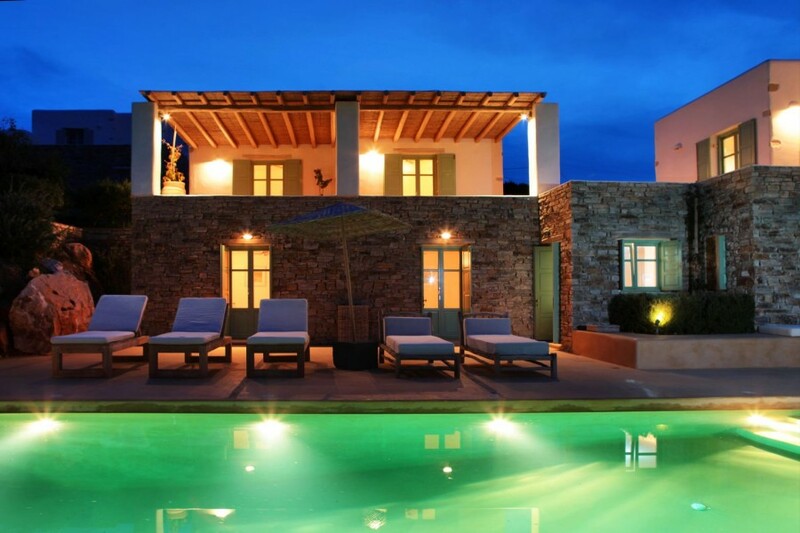 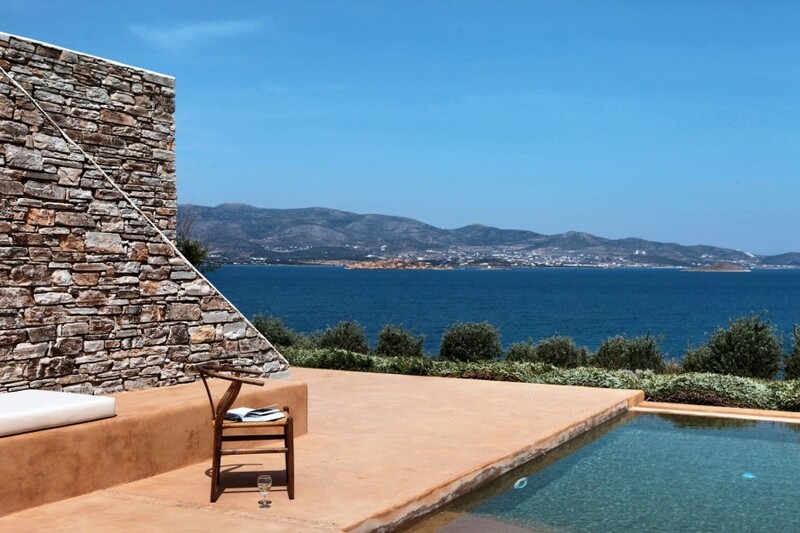 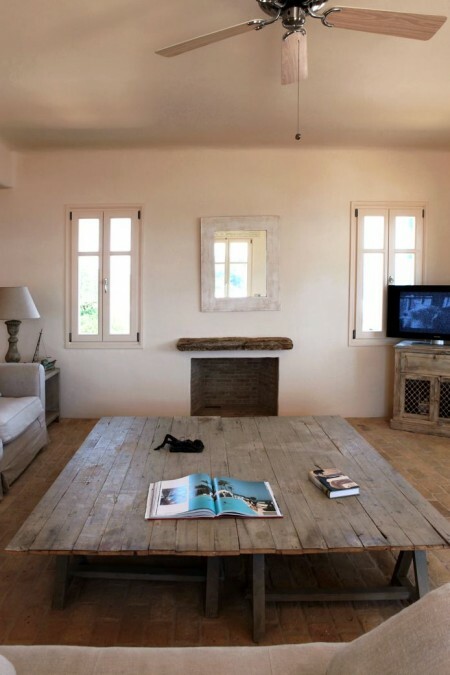 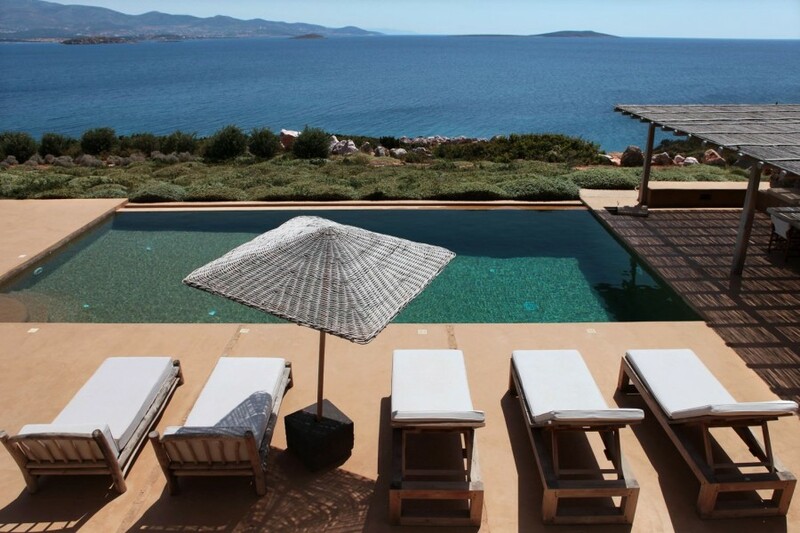 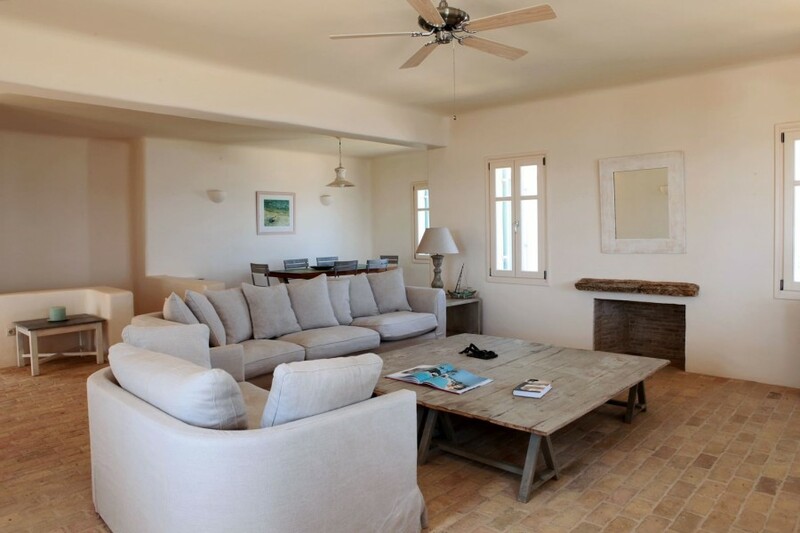 Dandelion is a splendid property under all aspects, equipped with all modern comforts, in an ideal position overlooking the sea and near Antiparos and the famous beach of Soros, this villa is perfect for large families or groups of friends.